Thai food is one of my favorite cuisines and never fails to whet the appetite due to all the amazing aroma of herbs and spices added to each dish. 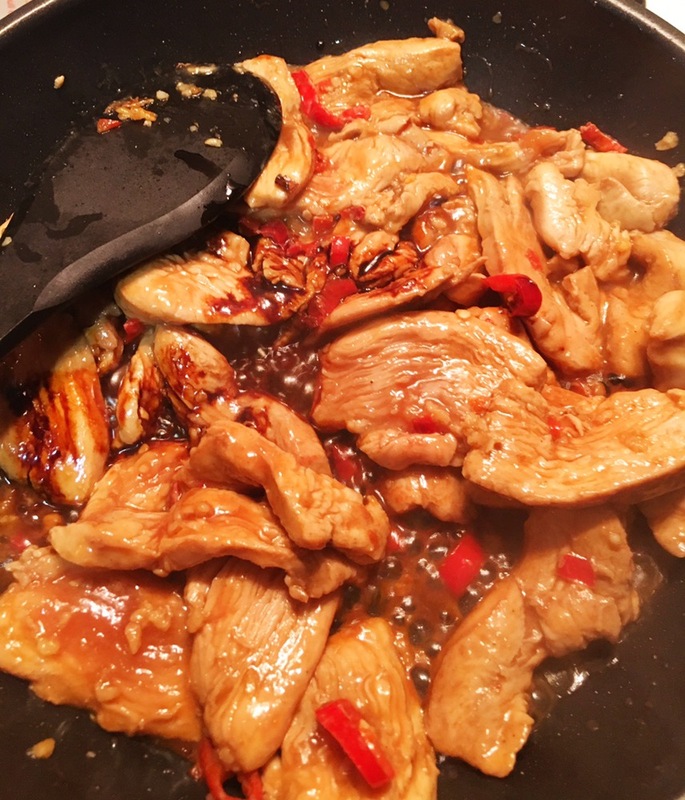 Ingredients of most dishes may not be complicated but e smell is just wonderful if cooked right. 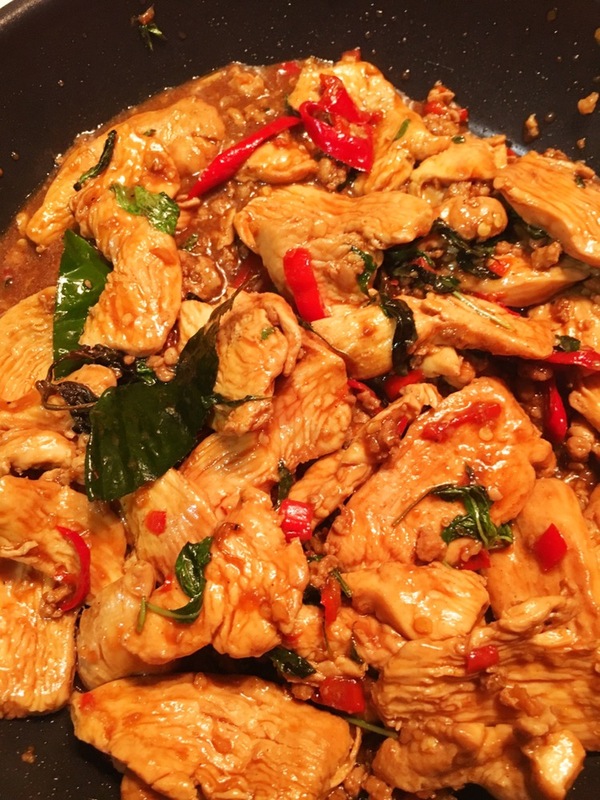 One such dish is the thai basil chicken. 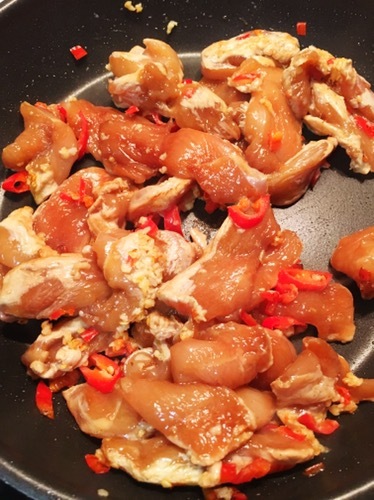 When the chicken is cooked through, about 3 more minutes, add the kaffir lime leaves and Thai basil, turn off heat immediately. Toss a few times to let the residual heat release the aromas of the herbs. 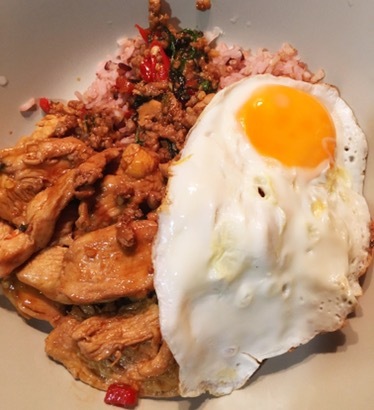 I like my Thai basil chicken rice with a sunny side up as the runny yolk adds the right touch to this dish. 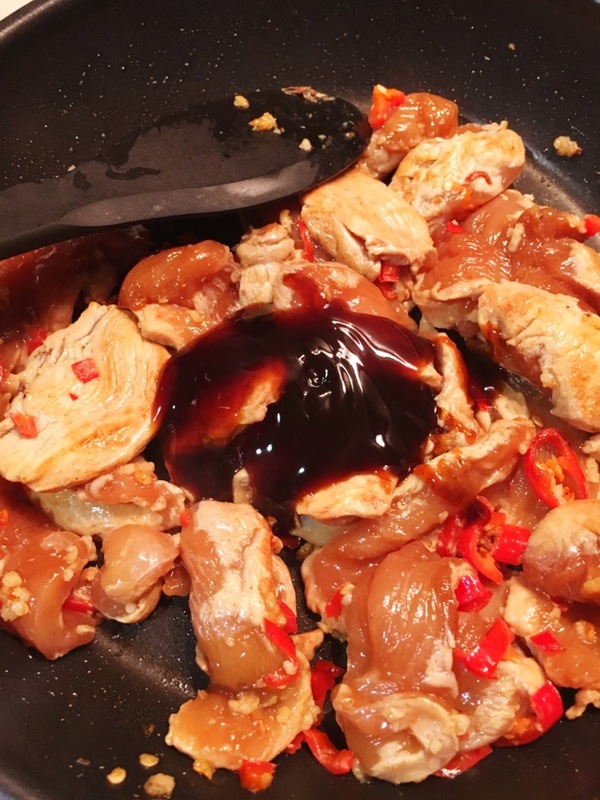 For the eggplant version, the same ingredients and steps were used except chicken was replaced with eggplant. The eggplant should be sliced to about 2cm thickness and soaked in salt water for at least 5min then drained before cooking. 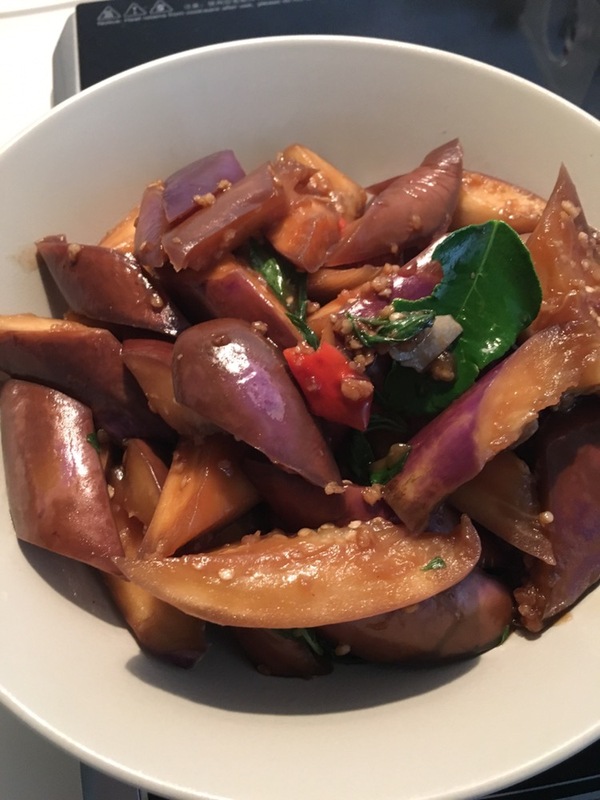 The eggplant should be cooked till they look wilted/ limp. My version was not cooked long enough therefore they still maintained their firmness.